Imagine agriculture without oil! We will have to! 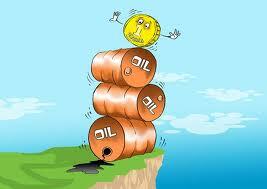 Oil, the master energy resource, is the driver of economic growth. But our financial system is wired for economic growth. This is the challenge. It is structural change that is needed. Over the last 150 years relatively cheap oil has enabled economic growth to happen. 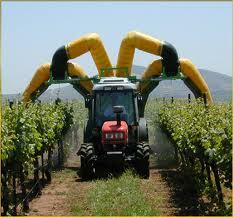 It has transformed agricultural methods, enabled world population to grow, and powered transport. So now, not only are we required to adapt to life with less oil, but the very enabler of economic growth ­ is becoming more and more unaffordable. And this means we have to start from scratch designing and using a new money system not dependent on infinite growth. Our economy may well recover somewhat, but that recovery will lead to increased oil use, which leads to increased prices, which will lead to another economic contraction. And this cycle will repeat – with each subsequent recovery being weaker than the last. So no amount of optimism or wishful thinking can bring back economic growth. Future economic growth will be impeded by the depletion of critical, natural resources, the increased costs of extraction and its associated negative environmental impacts, and ever mounting debt. This is not a temporary phenomenon, it is the start of a long series of cyclical recessions, and it signifies the end of growth. It is a great disruption to our normal patterns. This crisis may be our best chance to start a new monetary and economic system. It requires a paradigm shift, and for the institutions which parrot “economic growth” as their catechism this will come as a rude shock. With the temporary disruption to the Maui pipeline we have also noticed our dependence on natural gas. Factories, restaurants, dairy farms were all affected and the supply of bread, milk and Weetbix was disrupted. How much worse would it be if a tanker didn't arrive? OIl prices have a detrimental effect on our economy. Treasury has calculated that a 5% permanent increase in the retail fuel prices implies a decline in NZ's GDP of 0.3% Some experts say that we will have to live on 10% of the resources we now use. The plan the country must make is a plan to decide how to use those precious resources. Our policy is that we are taxed if we take from the commons. But first, society must decide what the commons can give every year in the first instance, then allocate it to society. Society needs a process to decide what to do with this reducing pool of resources. We need a public discussion on how we are going to live with less and less oil every year. Estimates range from 4-6% decline upwards. What measures are we to choose? Petrol rationing? Cash for clunkers? Lower speed limits? Reduction in flying? We have to choose and it is going to be painful. Fossil fuels are killing the planet. The alternative is soaring debt, severe recession, food riots and social chaos. Between 2010 and 2011 the cost of our oil imports rose 22% to $7.7 billion a year. Our national debt has risen dramatically over the last two years and oil is going to be an increasingly important ingredient as we import 59 million barrels a day. In fact we import 97% of our oil. It is going to get us further into debt if we don't face up. We have to service all this debt. If we don't plan, we will get a mighty shock when we finally realise what is happening to our oil supply and how critical it has been in our economy. Here is a list compiled by Dennis Tegg of official reports on peak oil. http://www.delicious.com/stacks/view/N8uXwO Policy: We would work with New Zealanders to plan to reduce our dependence on oil by 4-6% every year.